Two of my coworkers are having little baby boys! They’re not due til the fall, but I figured I’d get a head start on things. First up is a little guy’s crochet hat that’s modeled after the bigger men’s free crochet hat pattern I posted a few weeks ago. 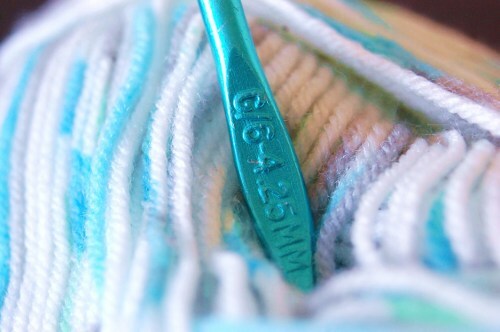 I got this yarn from Jo-Ann Fabrics and was planning to use it to knit something. 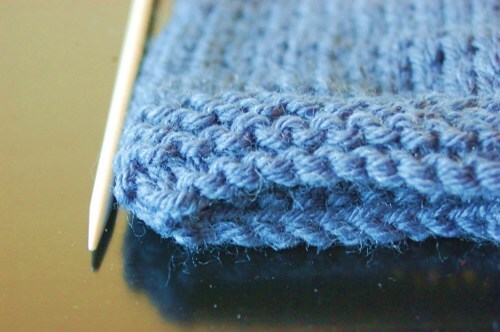 It’s one of those self-striping yarns, but it is painfully, painfully thin. After spending 30 minutes trying to make something using double pointed needles, I just wasn’t feeling it. So I got out my crochet hook and made this hat. While watching a Netflix documentary. My life is riveting, I know. Pattern has a few small adaptations from the original hat, but I’d be more than happy to write a specific pattern for this baby-sized hat if you’d like. Let me know. 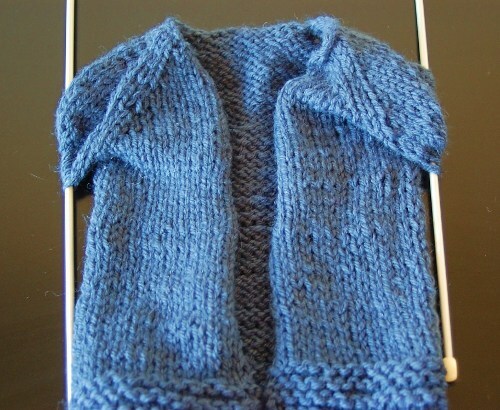 Next up is a half-made baby sweater, modeled after this knitted baby sweater I made two years ago. It’s a free pattern on Ravelry called “Baby Sophisticate” and has become my go-to baby sweater (the 3,359 people on Ravelry that have made it agree). It’s a classic. I realized I never posted WIP (work-in-progress) photos of things I make since I am an impatient crocheter/ knitter and tend to whip things out, but I thought I would share my mid-project progress. Yesterday, I finished the body and have the sleeves and collar left to complete. Should be a good project for later this week. Oh, and just to prove that I’m not being completely lazy this weekend, just know that I’m going to Cedar Point today. And using my SEASON PASS. So no pity for the sad, Saturday-night crocheter here! 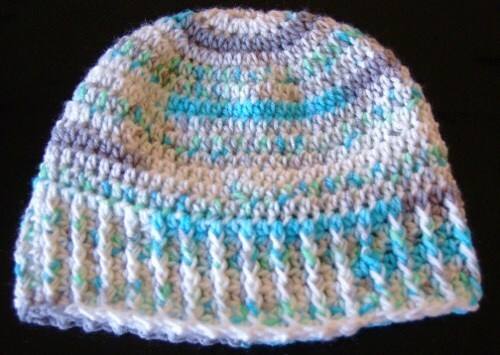 Hi, I’ve just come back to your site and saw the cute baby hat and would love the pattern if you are still offering it. I’m always looking for new designes that are pretty simple and can be done in an evening. I make hats for a NICU in Alaska and I like to work on them when bigger projects become tedious and I need some bright colors to work on. Thanks for keeping up the blog. You can send the pattern to me email address. Nice pics! 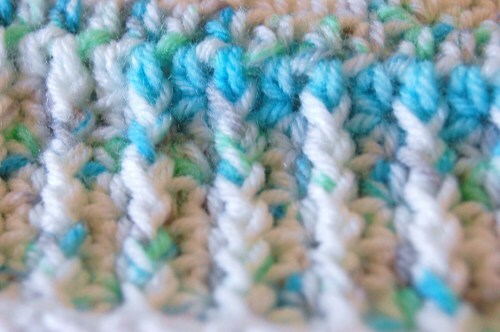 Thanks for sharing, I would love to try your version of the crochet baby hat. We just had our six grand baby and he needs one !! Thanks so much. Hi, I know this was posted a while ago but I have been searching high and low for a hat like this. I just wanted a simple one but not 100% plain. I’ve only been crocheting for about a year now & trying to create this hat myself hasn’t worked out so good. My little brother is 2 & I would love it if you emailed me the adjustments so I could crochet this for him. Thanx a lot & I’m happy I discovered your blog because you have a wonderful collection of projects. Hi! My Mom gave me the exact same yarn and i really like this pattern and if it only takes about one sitting i would really enjoy this pattern. 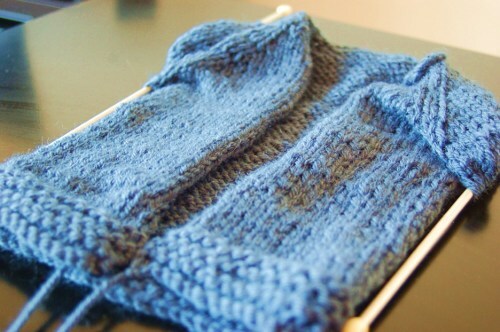 if you could email me this pattern and the adjustments i would really apperciate it. thankyou! 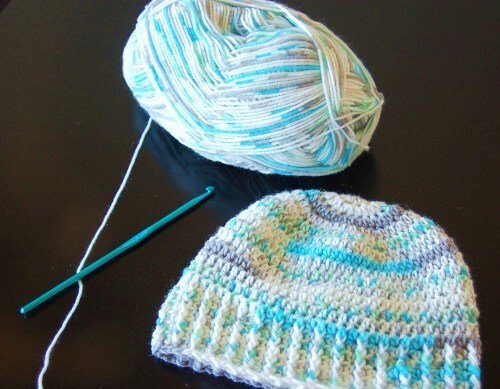 I would love to have the hat pattern if you think a semi beginner can do this. The hat is different from the beanies I see for beginners. Thanks so much! Hi – I’m at 24 weeks, on hospital bedrest and teaching myself to crochet. 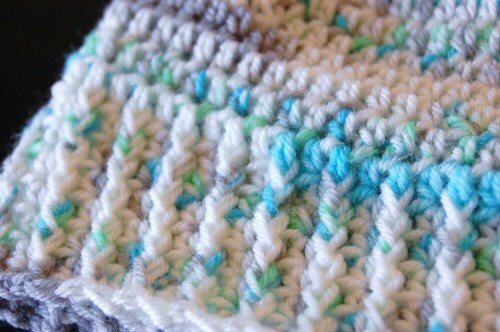 A friend gave me similar yarn and I’d love the pattern to crochet this hat for my little boy. Please e-mail it to me! Thanks!